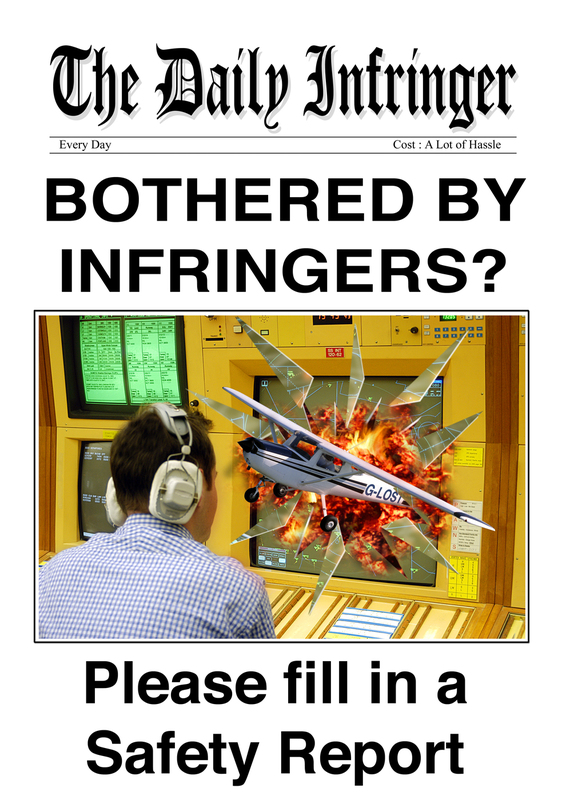 This spoof newspaper poster was designed as part of an internal ‘Air Safety’ campaign within National Air Traffic Services (NATS). Air Traffic Controllers were being asked to report every single Controlled Airspace Infringement, no matter how trivial, in order to build a statistically relevant database of information on the problem. As is so often the case, humour gets the point across as the Controller, sitting at his radar screen, has a quite spectacular ‘Infringement’.